Dust off your boots, and Come Ride With Us!!. Membership is now open for the 2019 version of Vernon Riding Club’s Crony Club. We are a group of adult non competitive riders who meet on Sunday mornings to ride together under the guidance of Ruth Moore, BHSAI, certified coach. The focus is on fun, group riding, and learning new skills. 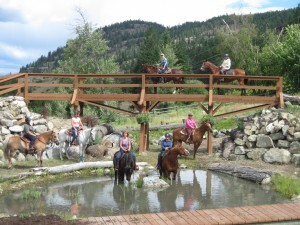 We welcome all riders, breeds of horses, and levels of horsemanship skills. 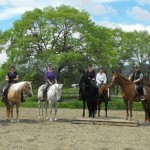 Our group is a great place to get out your green or inexperienced horse as well. Last season, we tried our hand at sorting live cattle at Briarwood Equestrian Center in Lake Country, followed by a gorgeous ride up above Woods Lake. Late summer 2019 Crony Club hosted at VDRC a well received saddle fitting clinic with Mariette Klemm of the Perfect Saddle Fit. She covered a number of important points with both english and western saddles in mind. 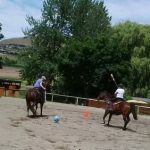 During our weekly group riding sessions we worked on trail obstacles, and had fun with the beginnings of a Musical Ride. 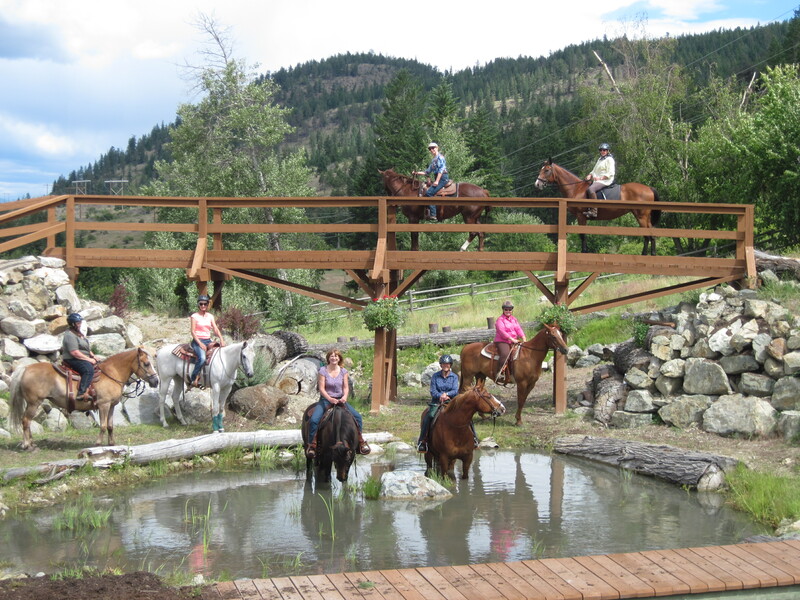 The weekly riding activities are varied…come on out and see what you and your horse can do. 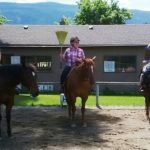 Participation in Crony Club is open to Vernon Riding Club (VDRC) members, and the fee for Crony Club is $50, which entitles you to attend 5 of the 7 riding sessions of your choice. Membership to VDRC is available at www.vernonridingclub.com and note that there is an early bird (before March 31th) membership available as well as out of town membership discounts. Included in your Crony Club membership is attendance at 5 of the 7 scheduled Sunday mornings. If you require further details please contact Kathy Velocci 250-545-4185 or by email.